A selection of dolls from this famous factory. 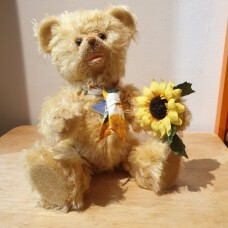 Sunshine is a cuddly hand made teddy who will bring joy to anybody. He is about 23 cms tall si..
Hand made doll made in Germany. This doll designed by Ramona Heimer is specially weighted to represe..
An original Schilkrot hand made designer doll. Moritz is 50cms tall and is free standing. .. 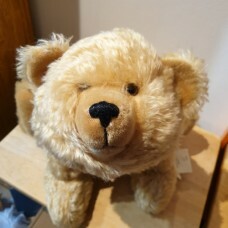 This is a hand made limited edition 5 jointed bear. Made by the Schilkrot factory in Germany.&..
"Brummer" is a very special and unusual bear. He was hand made in Germany from a design by a local a.. This is a limited edition hand made teddy. Stands about 32cms tall and is specially weighted t..